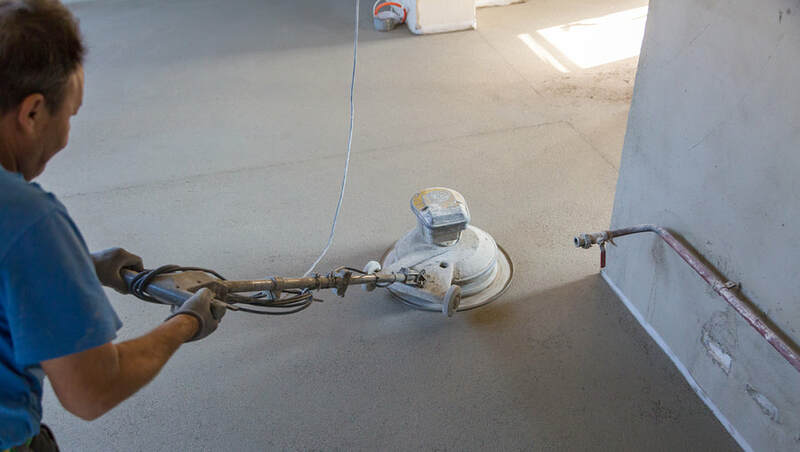 Concrete polishing is now such an art form that architects and homeowners are literally tearing up their old floor coverings and instead polishing the concrete that was originally intended to be a sub floor. Why? Because polished concrete is a beautiful high gloss, lustrous surface that doesn't require any waxing. In fact it's virtually maintenance free, industrial strength durable, pleasant to walk on and beautiful to look at. Polished concrete is incredibly long lasting and won't harbor dust or allergens, which is one of the reasons why it is increasingly popular in family homes. It is very easy to clean, very hard to chip or damage, and available in a virtually unlimited range of colors thanks to pigmented concrete or concrete staining techniques. In commercial applications it is highly reflective meaning you get a clean, bright appearance, and yet extremely resistant to heavy footfall. Maintenance is minimal, cleaning is easy, and waxing is zero. The cost of a polished concrete floor depends on a number of factors. Firstly it depends on whether the slab is being newly laid or whether this is an existing slab being polished. Then it depends a lot on the condition of the existing slab since greater deterioration, or certain aggregate materials in the concrete may require deeper grinding down than others. But it also depends on the size of the floor space. Since polishing requires specialized diamond grinders and skilled operators it can be more expensive, in terms of square footage, to polish a small space. On the other hand the larger the floor space being treated the less expensive it becomes per square foot and in such cases concrete can be a very cost effective way of getting a flooring that then lasts for ever and requires almost no maintenance. Bear in mind that if you are polishing a sub floor then any cost of polishing is balanced against the fact that you have not had to buy any further flooring surface. To find out if polished concrete is right for you give us a call at Jacksonville Epoxy Pros and we will come and assess your project and the nature of the concrete to give you a quote. Dust mopping a polished concrete floor will take care of the daily dirt. Wet mopping is all that's needed to clean it but it is recommended that you wet mop with water or neutral ph cleaners because excessive acid or alkali will eventually degrade the sheen of the polished concrete. A polished concrete floor, particularly with a durable sealer coating, can be indistinguishable from the hard beauty of a marble floor and there are a number of decorative techniques depending on the marble effect your want. Except, of course, that you haven't had to buy the marble and you probably already had a concrete sub floor which makes for an enormous price difference.